The University of Missouri–St. Louis earned a reaffirmation of accreditation from the Higher Learning Commission, extending the university’s accreditation for 10 more years. UMSL met the five criteria of the HLC – mission; integrity: ethical and responsible conduct; teaching and learning: quality, resources and support; teaching and learning: evaluation and improvement; and resources, planning and institutional effectiveness – with no need for any follow-up evaluations before the next accreditation visit during the 2028-29 school year. Committee members worked for more than a year and a half holding interviews and stakeholder sessions and gathering information to demonstrate compliance with federal guidelines and the HLC’s criteria to prepare an Assurance of Learning document that served as the basis from which UMSL made its reaccreditation case to the HLC. Last May, a draft of the document was released to the campus community for feedback and open forums were held to hone the presentation. An HLC evaluation team came to campus for a comprehensive site visit on Nov. 5-6. Sobolik expressed special appreciation for the hard work of the members of the HLC 2018 Steering Committee: Special Assistant to the Provost and HLC Liaison Alan Heisel; Vice Provost for Student Affairs Curt Coonrod; Associate Teaching Professor and Department of Military and Veterans Studies Chair James Craig; Professor and Chair of the Department of Physics and Astronomy Erika Gibb; Center for Teaching and Learning Instructional Designer Michael Porterfield; Manager of Institutional Research Carol Sholy; Assistant Teaching Professor of Economics Brian Speicher; Professor of Chemistry Keith Stine; Academic Affairs Project Manager Bonnie Unal; and Associate Dean of the College of Education Shawn Woodhouse. The HLC is an independent regional organization that determines the accreditation status of institutions in 19 states. 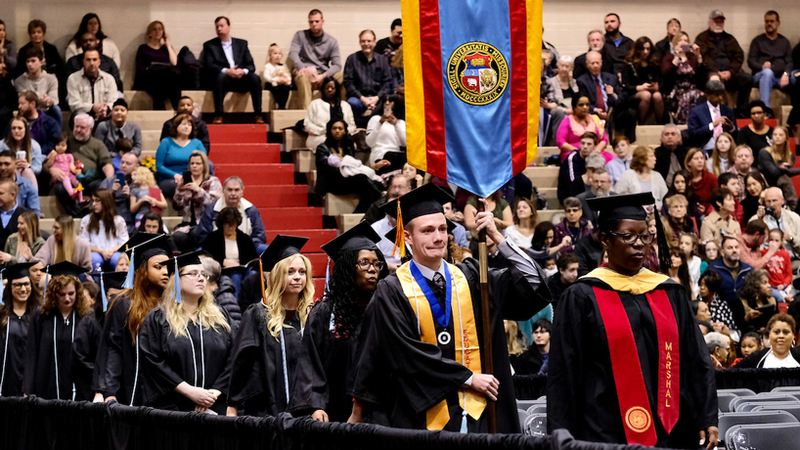 More information about the accreditation process, the materials UMSL submitted to the HLC and the HLC’s conclusions about the state and direction of the university can be found at the Division of Academic Affairs HLC Accreditation 2018 website.